LaRena joined the Foundation in 2018 as a networked improvement science fellow. Most recently, LaRena was Senior Manager of Content and Instruction at Actively Learn, an online literacy platform. Her work focused on creating instructional resources and delivering professional development to teachers and administrators emphasizing evidence-based practices for critical reading, formative assessment, and scaffolding. 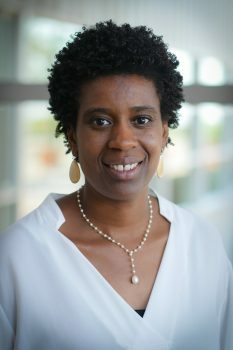 LaRena started her career at American Institutes for Research and worked on numerous projects investigating factors that led to success in high-performing, high-need schools. Inspired by the dedicated teachers she met through this work, LaRena spent the next several years teaching in San Jose, CA and Brookline, MA where she enjoyed designing project-based units that supported the needs of diverse learners. As a teacher leader, LaRena facilitated grade-level teams in data analysis and developed intervention plans to support ELLs and struggling students. She also served as an instructional technology coach where she helped teachers throughout her district effectively utilize digital tools in their classrooms. LaRena earned a bachelor’s degree in public policy and a master’s degree in education from Stanford University.